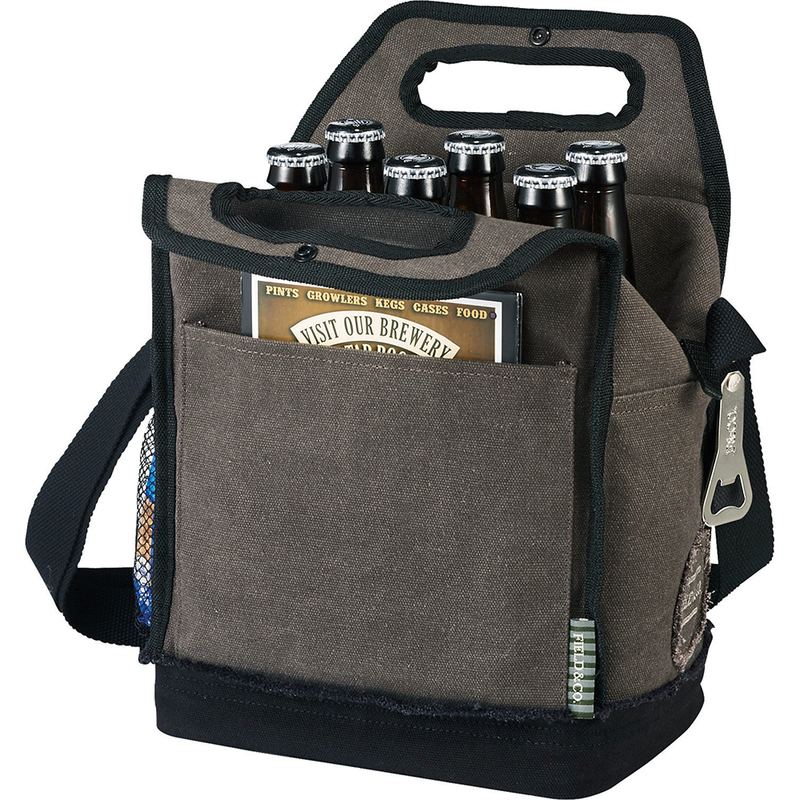 A removable divider helps prevent bottles from breaking, or let you load up cans or anything else you want to keep cold. . A set of carry handles or adjustable shoulder strap allows for multiple carry ways. Side mesh pocket to store bottle caps, snacks or coasters. Field & Co.® branded bottle opener included. Additional Field & Co.® branded patches on exterior.